IT’S ANNOUNCEMENT TIME!!!!!!!! Ate by Ate’s sister, The Sugared Teacup, (http://www.thesugaredteacup.com) has been preoccupied for the last little while for a veeeery good reason and the news is out: THE SUGARED TEACUP IS NOW OPEN FOR BUSINESS!!! The Sugared Teacup has partnered with many of Toronto’s finest local tea shops and businesses to give you a “Taste of Toronto” tea-style for the holidays and hopefully into the new year and beyond with SPECIAL THEMED TEA BOXES! I’m beyond ecstatic and excited and nervous and every other crazy emotion imaginable because this is my baby. The Sugared Teacup is no longer just a blog; it’s a business idea and brand that I have put my heart and soul into for months and I am overjoyed that I can watch it grow with the love and support from the community – the blogging community, the tea community, our local community, and so many others. Okay, so before I dive in and give everyone the details on how make a purchase, I want to explain how this all came about from the very beginning. Back in September, I was laying in bed when I was suddenly struck with an idea: how great would it be to start a tea box subscription business with the local tea shops and businesses?! 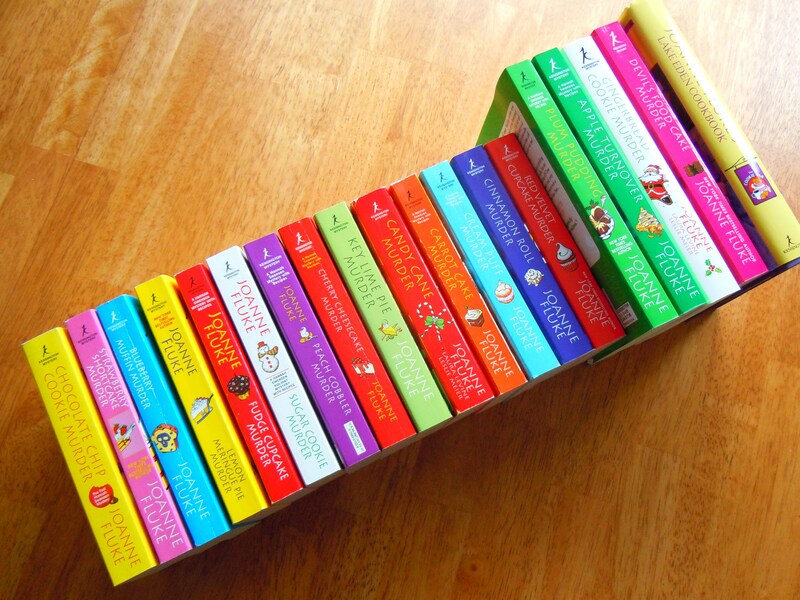 Subscription box services have been growing in popularity over the last number of years. Everything from organic food, cosmetics, stationery, and books can be delivered to your doorstep every month in a fun and unique package of goodies. Tea boxes have definitely been a part of the fun so while I knew this was not a new idea and that I certainly wasn’t re-inventing the wheel by thinking about this, I knew I wanted to put my own mark on it and make it different from anything else out there. So I got to work. 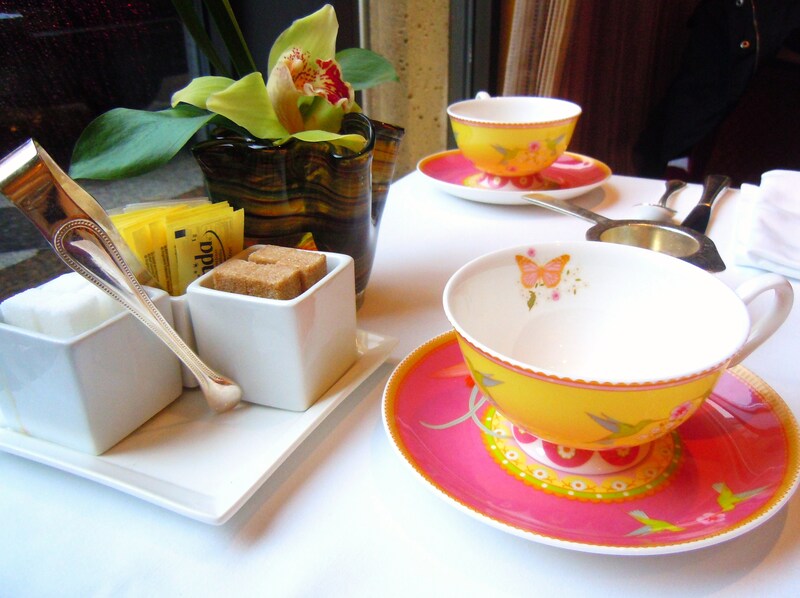 How are The Sugared Teacups’s Tea Boxes (“Sugared Tea Boxes”!) different? It’s all about keeping everything local. As I’m envisioning this idea unfold as time goes on, I absolutely want to involve other tea businesses (and tea-related businesses!) 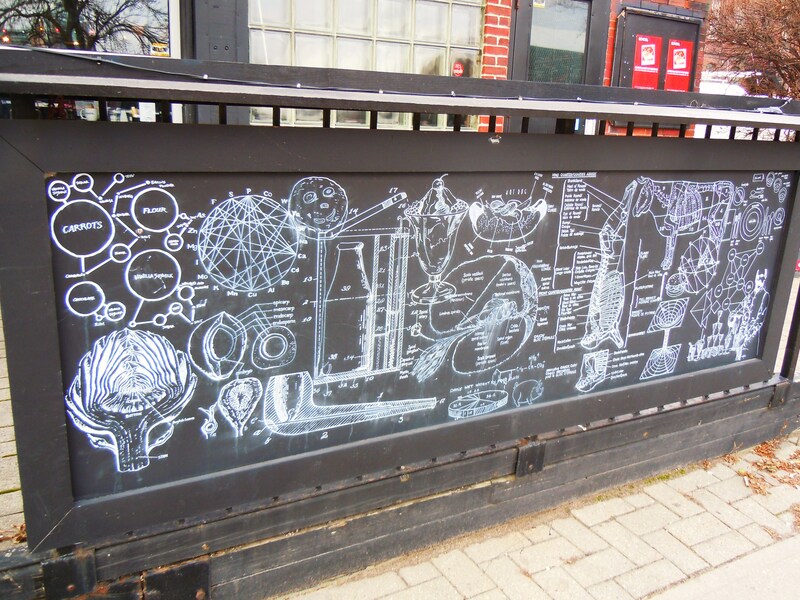 in Ontario and the rest of Canada but for the time being, this idea has its roots in Toronto – literally. There are many tea box businesses out there that operate in many different ways. Some use smart technology to determine what type of tea drinker you are by having you take a survey and they base their monthly selections on that profile. 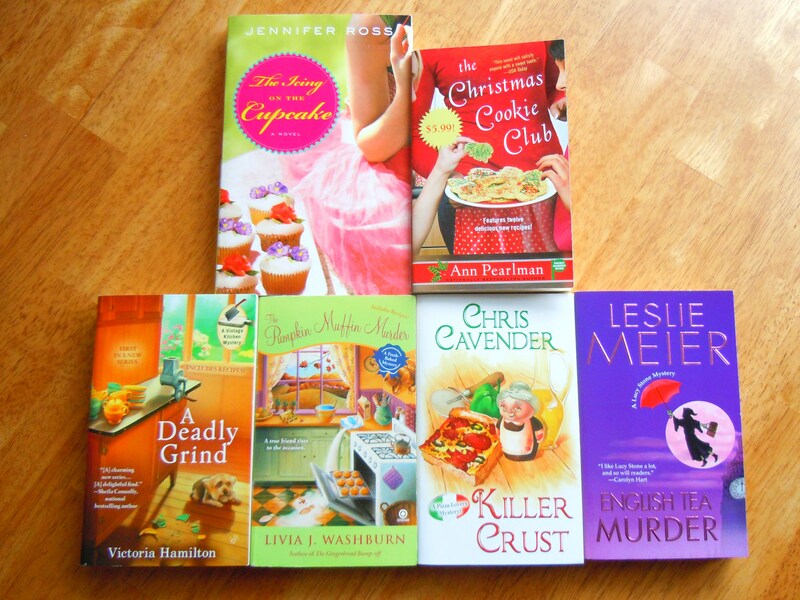 Other businesses send a surprise box each month. And others focus and introduce their subscribers to different brands and businesses from across the globe, all the while sourcing their own teas. The Sugared Teacup tea boxes are all about 1) supporting Toronto tea businesses, 2) giving tea lovers lots of fun and variety, and 3) allowing everyone to try teas they wouldn’t normally go out of their way to try. When I was chewing on this idea back in September, I thought about why I loved the idea so much and why others would too. Not only is this a huge creative outlet for me (I decorate and personalize every box! The crafting scrapbook princess in me is so ridiculously happy right now! ), the tea boxes target some of the issues some people face when it comes to tea and shopping for it. For example, some are deterred from ordering online because they need to spend x amount of dollars for free shipping, otherwise they could be spending more on shipping than they are on the tea. Now this wouldn’t be an issue for those who are dedicated to a specific brand or business. However, I know there are many who don’t want to spend so much on teas they may not like in such large quantities (for example, in 50g or 100g quantities). These tea boxes give you the variety and the opportunity to try many teas in smaller amounts. Some teas come in full size (there are some in special tins! ), but the majority of the teas come in smaller pouches so instead of hemming and hawwwing over trying to choose 1 or 2 full size teas at full price, you get at least 5 teas in adorable packaging! And that is how The Sugared Teacup Tea Boxes were born! 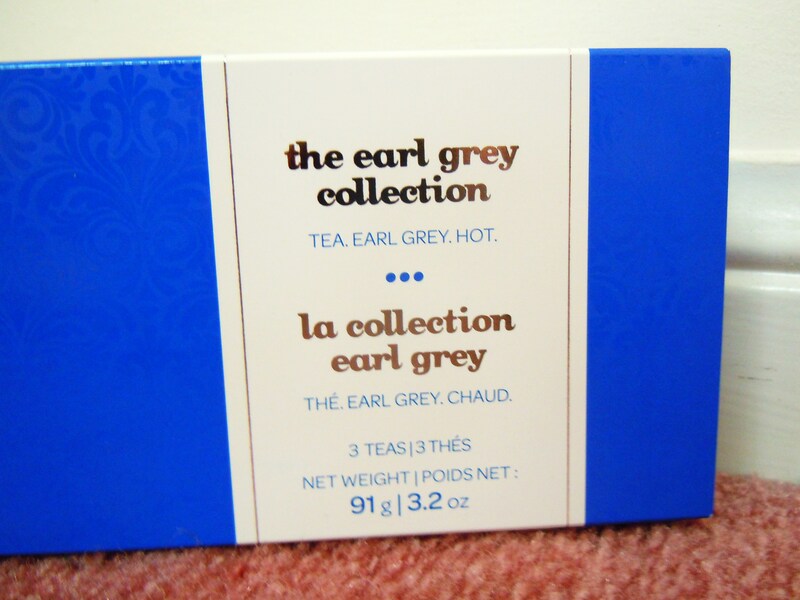 In a nutshell, I’m offering 6 different themed tea boxes (as well as a special Earl Grey Lovers box! 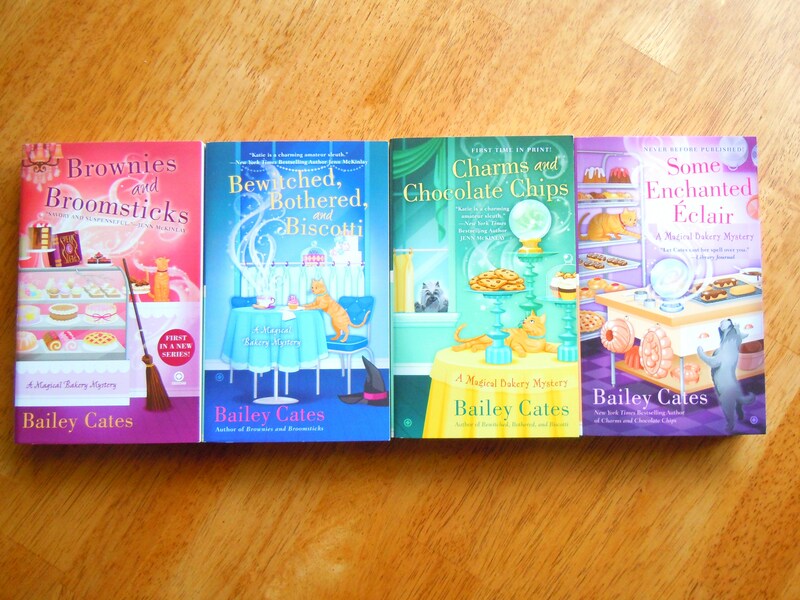 ): black tea, green tea, mixed teas (black, green, rooibos), herbal/rooibos/caffeine-free, fruity teas, and dessert teas. You choose the type of box(es) you’d like and I put together a fabulous selection of teas from all the wonderful shops and businesses based on this selection! It’s that easy! This is the soft launch for the holidays, meaning if it does well, I’ll be growing the business by offering subscriptions and shipping across the country (and maybe the US if I can make it work!). FOR THE HOLIDAY SOFT LAUNCH THOUGH, I am keeping it entirely local, meaning Markham and Toronto pick-ups and drop-offs for tea box purchases. Head on over to the Tea Boxes page on The Sugared Teacup’s menu bar (http://www.thesugaredteacup.com/teaboxes) to fill out a form to make a purchase – I have a BLACK FRIDAY WEEK INTRODUCTION PROMOTION GOING ON THAT YOU DON’T WANT TO MISS! All online transactions will be handled using PayPal. If you’re uncomfortable purchasing online or if you would prefer to not use PayPal and pay in cash, please feel free to download an order form using the PDF file link at the bottom of the Tea Boxes page; you can e-mail me at thesugaredteacup@hotmail.com telling me what selections and quantities you’d like and you can simply bring me a hard copy of the form for receipt purposes upon pick-up and drop off. I’ve been working really hard to turn this idea, dream, and passion into a reality and I am SO thankful and grateful for the tea shops and businesses that have so graciously jumped on board with it! (Check out the Tea Boxes page to see which tea shops and businesses I’ve partnered with so far!). 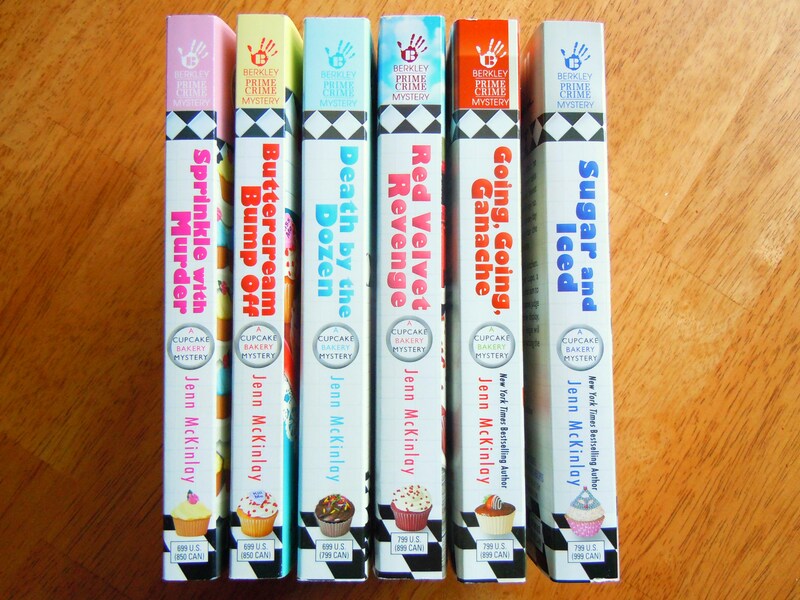 This is just the beginning of a crazy new chapter in The Sugared Teacup’s journey and I am so happy and excited to have you all be a part of it. SUPPORT LOCAL, SHOP LOCAL! Let the games begin! Hi everyone! If you’re reading this, I know this post must come as a surprise to you because the last time you heard from me I was saying goodbye. It was an emotional goodbye, so much so that I only left the goodbye post up a month into the new year before hiding it because while it was an important post to make, I didn’t want it to be the first thing everyone saw when they visited so I left Ate by Ate the way it was – happy but dormant. Life is constantly changing and we never know what’s waiting for us in the future. Things in my life have changed again but this time for the better and I’m in such a wonderful place right now and I’m so happy and excited to share this with you all because you’ve been there with me for the 5 years that I was writing Ate by Ate: Ate by Ate has a new sister! 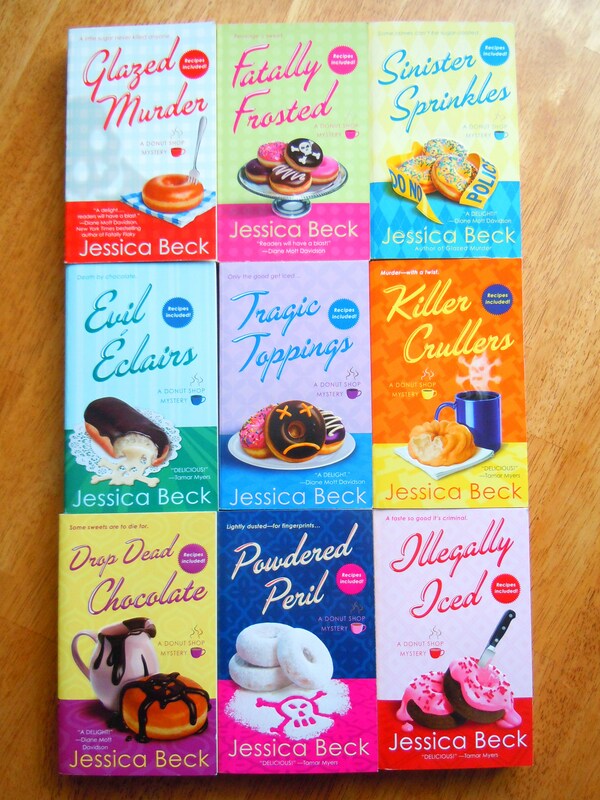 After a year and half-long hiatus from blogging, I’m back with The Sugared Teacup! I’ve put my heart and soul into this new blog for months and I just went live today so I wanted to share that with everyone here. 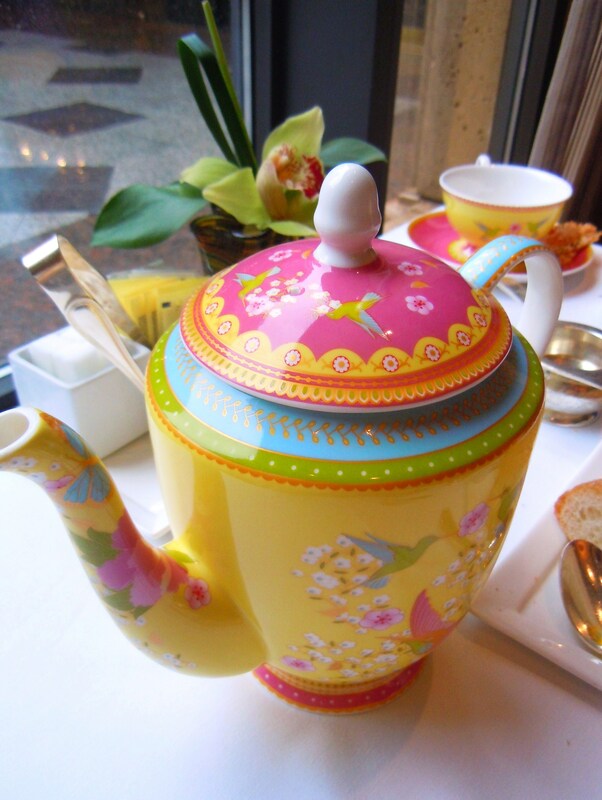 This new blog is lovingly devoted to everything tea- tea shops around the city, afternoon tea, loose leaf, tea and sweets, tea events, my scrapbook layouts, recipes, tea-related books and magazines, beautiful tea accessories, and so much more! I made the closest men in my life (my boyfriend, my brother, and my dad) very happy this past week. I didn’t buy them presents. Or give them money. No, I baked and gave them cookies. 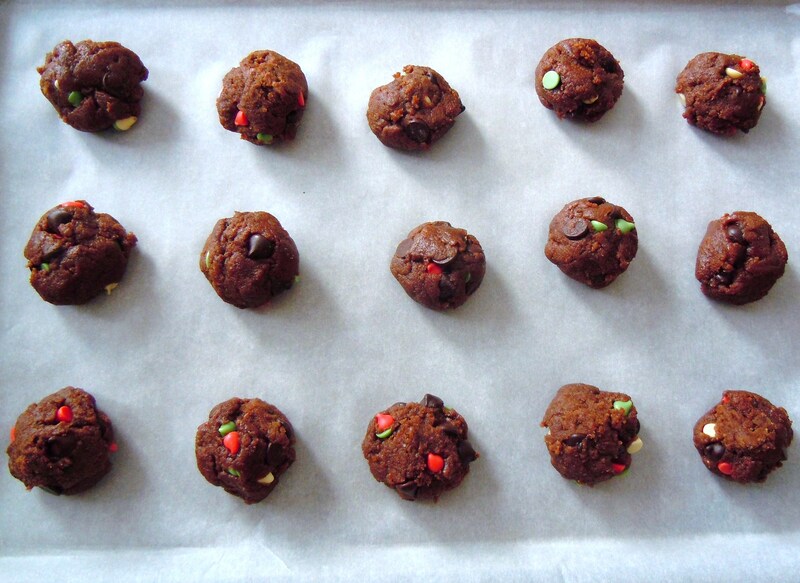 Double chocolate ones. 6 dozen of them on a total of 5 pans. 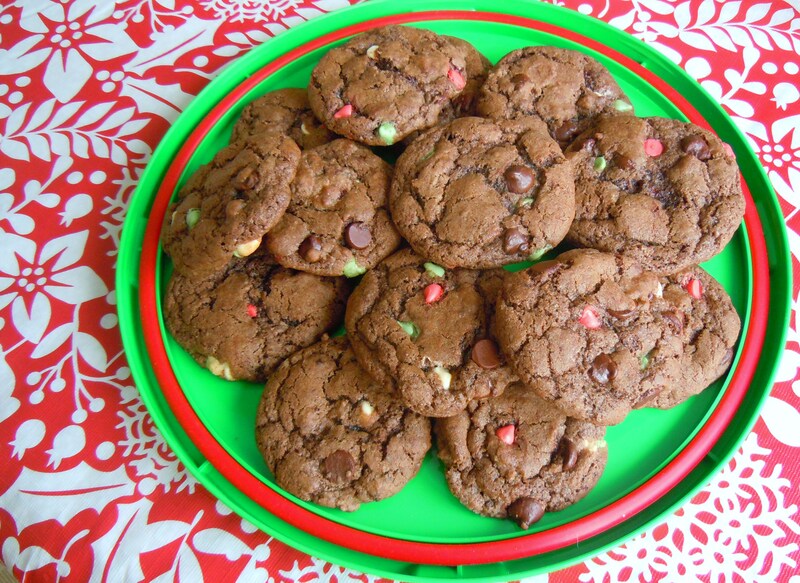 And it’s unanimous: out of all the recipes I’ve tried so far, this is their favourite cookie of all-time. 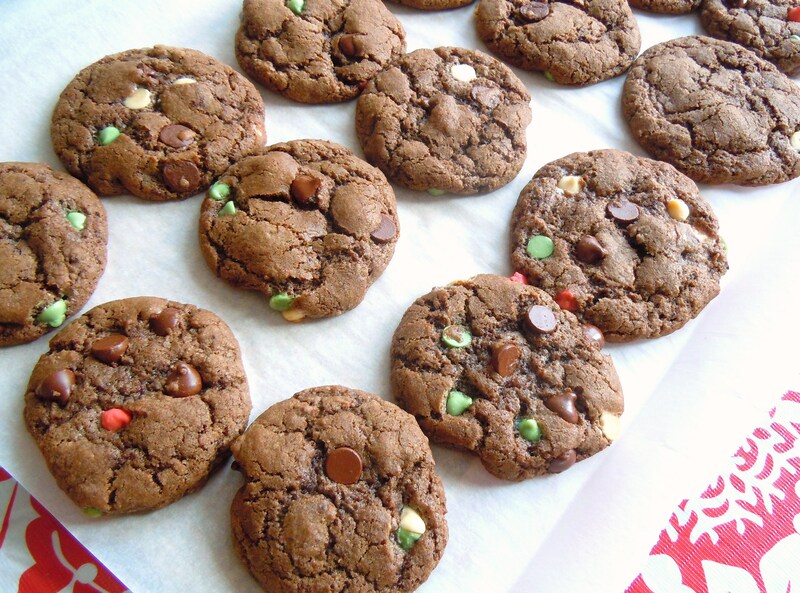 And I have to say, I freakin’ love these cookies myself. They are heavenly. But their love of chocolate borders on obsession (or addiction; it’s really almost the same thing in this context) baffles me. I enjoy chocolate as much as the next person, but their addiction to chocolate is just on a whole other level. I watch guys eat chocolate and it’s like they’re eating their last meal on earth. My brother will excitedly chant, “chocolate, chocolate, chocolate!” when I simply mention something about chocolate. And I once scolded my boyfriend for eating too many chocolate chip pancakes because he wouldn’t stop moaning and groaning about how full he was from his chocolate chip pancake breakfast. “Well why did you eat so many?! Why didn’t you just stop at two? ?” “They were so good…” Cue deadpan expression. Anyway, I made brown sugar shortbread over the holidays and while I will admit that they were just so-so (it needed a little finesse and a part 2 experiment), I ate my share while the boys just sniffed at them. Sigh. “Fine,” I said. 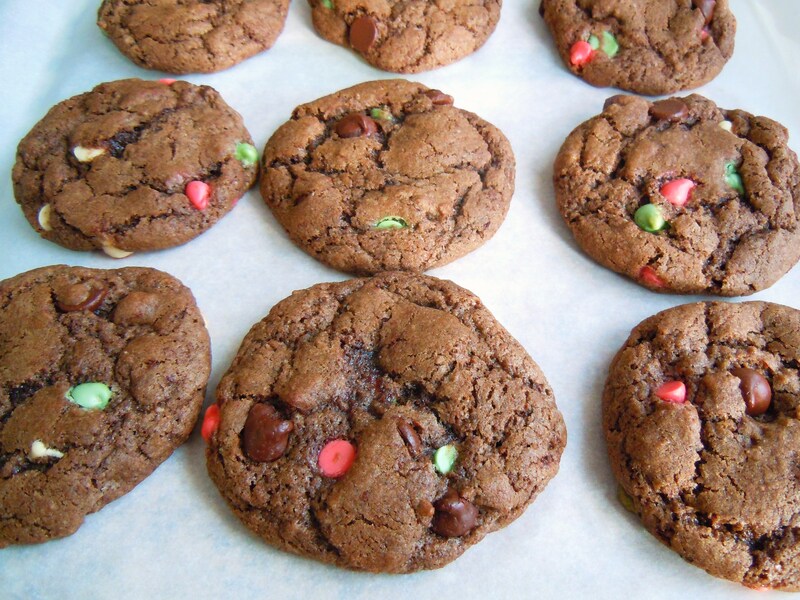 “I’ll make you guys double chocolate cookies next time. Sound good?” Eager bobblehead nods. 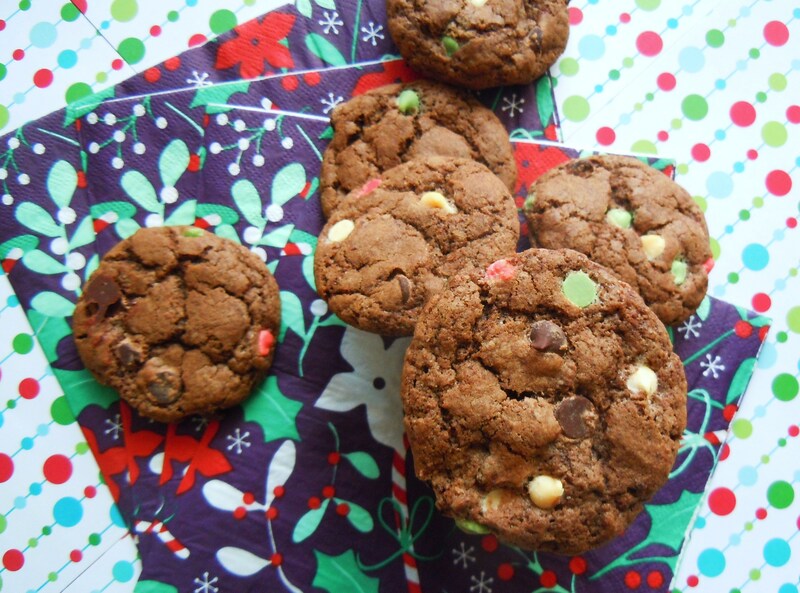 You don’t have to be a crazy chocolate addict to love these cookies though. 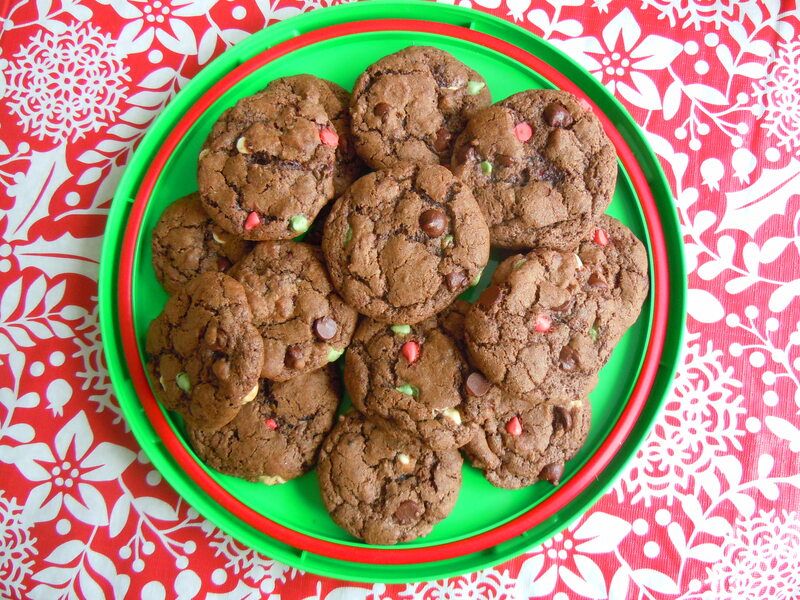 These epitomize cookie perfection in so many ways: they’re crispy on the outside and soft and chewy on the inside, the cracking on the outside is beautiful, the recipe doesn’t require a mixer, you can easily substitute the chocolate chips for other mix-ins such as chopped nuts, candies, or dried fruit, the recipe yields a very generous amount making them a perfect option for parties and cookie swaps, they freeze well, and they’re a cinch to make. And did I mention they’re double chocolate and fudgy as heck? WHAT’S NOT TO LOVE?! 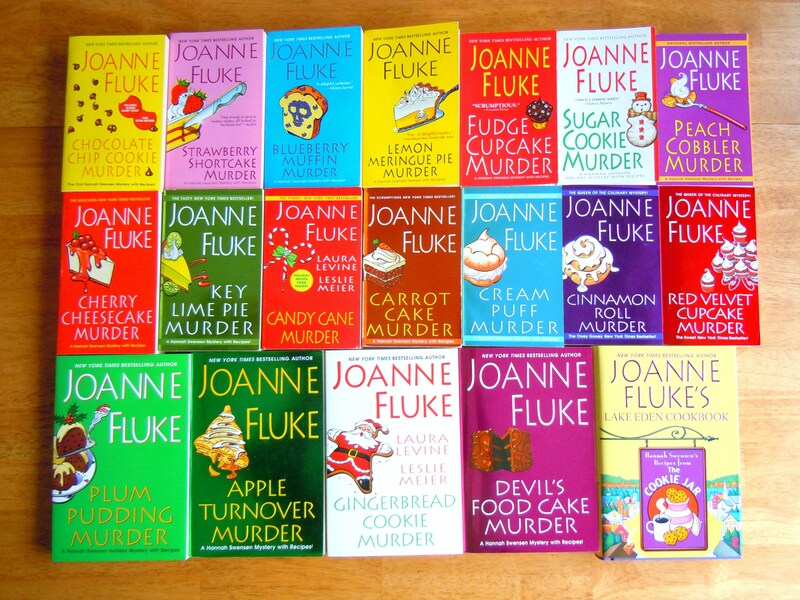 I thank another one of my beloved Joanne Fluke Hannah Swensen foodie murder mysteries for this amazing cookie recipe, courtesy of Blueberry Muffin Murder, the 3rd book from the series. Line several baking sheets with parchment paper; set aside. (The dough needs to chill in the fridge so there’s no preheating of the oven at this point). Melt butter in large microwave-safe bowl. Add the sugar and mix. 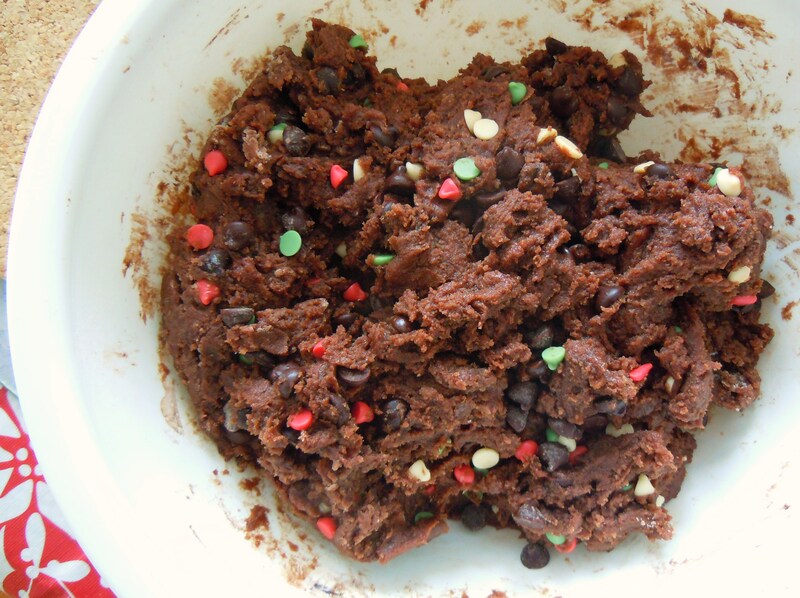 (*Deb’s Note: I just used a spatula for this step as well as for the rest of the recipe). Add the cocoa powder, baking soda, salt, and vanilla and stir until smooth. Add the beaten eggs and stir thoroughly. 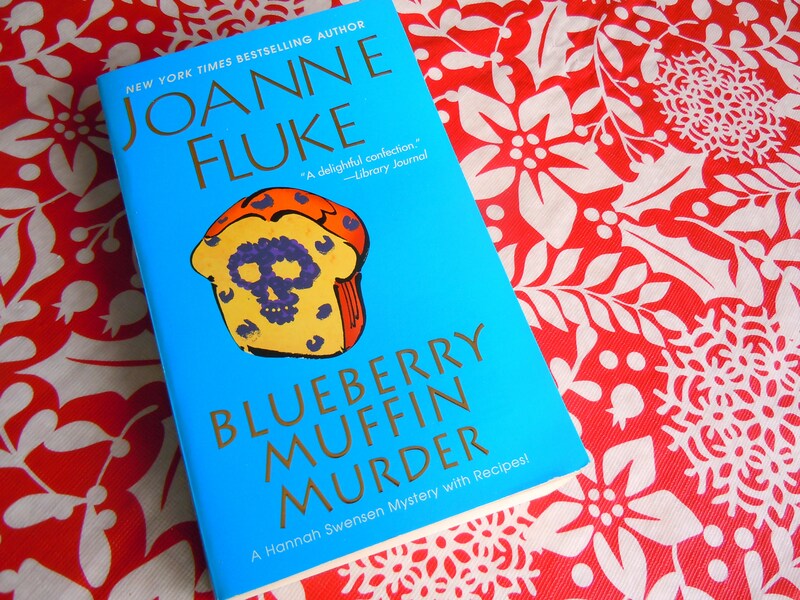 Recipe adapted from Joanne Fluke’s Blueberry Muffin Murder. New York: Kensington Publishing Corporation, 2002. Photographs taken by me. 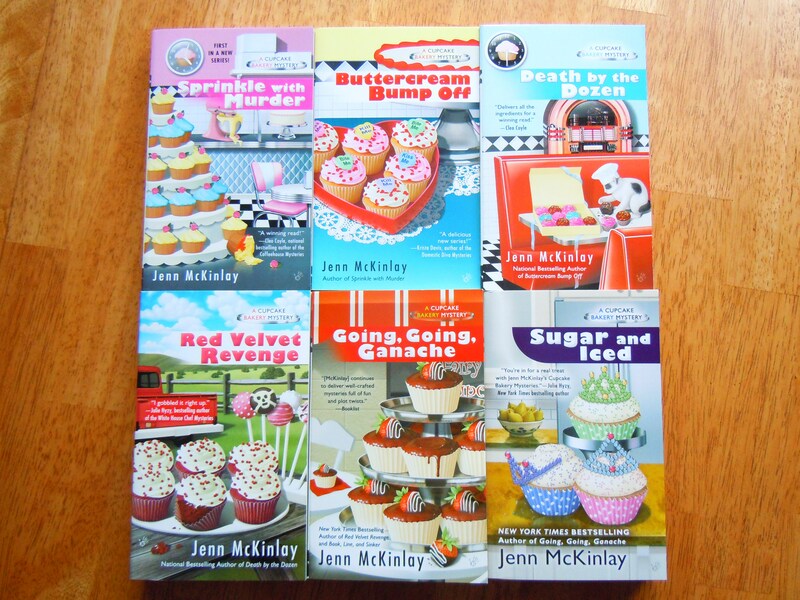 The recipe can be found on pages 136-137. This past week has been bitterly cold (by Toronto’s standards; folks from Edmonton or Winnipeg are free to chuckle and/or roll their eyes) so it’s no surprise that I’ve been guzzling cup after cup of hot tea to warm me up from the inside out: milk oolong, apple custard herbal, green dragon pearls, and birthday cake rooibos just to name a handful. All warm and cozy, all yummy. I’m making a nice dent in my tea collection which makes me super happy because the more my family and I drink, the more room there is for new ones! So amidst all the jolly tea chugging, I thought to myself, “hmm, I’m really behind on afternoon tea blogging, I should get on that. 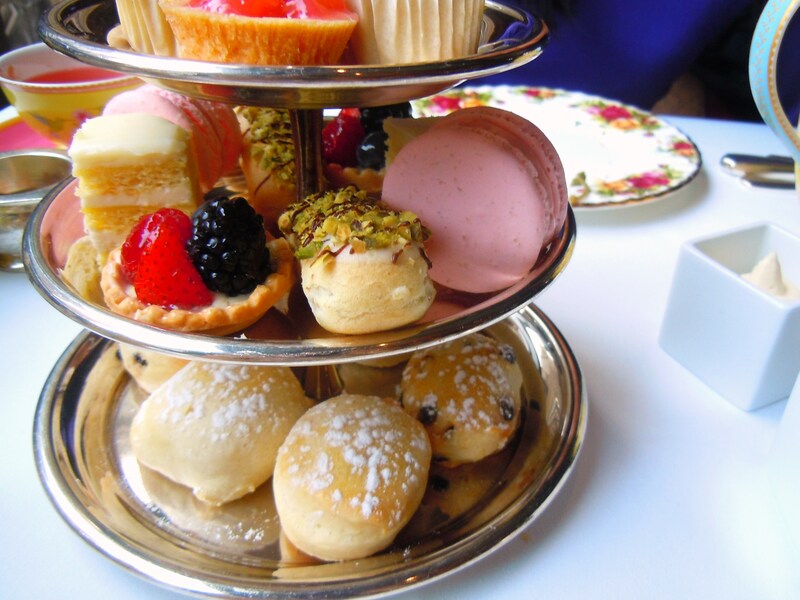 Like, now.” I have folders upon folders of photos I have yet to post just waiting to be shared with you guys so I hope y’all are in the mood for some afternoon tea posts because there’s going to be a generous amount of them in the coming weeks and months! I’ve done afternoon tea about 15 times now and it’s become one of my favourite things in life, not just because I’ve enjoyed many of them with my best friend but because they’re such luxuries. Some folks go on trips. Others buy shoes. Or nice electronics. I do afternoon tea. It’s a treat, one that delights me and inspires me, so much so that I’ve devoted an entire bulging scrapbook to it with a sequel waiting in the wings. The tranquility that comes from pouring hot tea from a beautiful teapot into an equally charming and dainty teacup; the anticipation of the tiered stand being placed on the center of the table, brimming with finger sandwiches, scones, and sweets; and the utter joy that comes from appreciating pretty things, yummy things, and the awesome company and friendship that’s right in front of you. 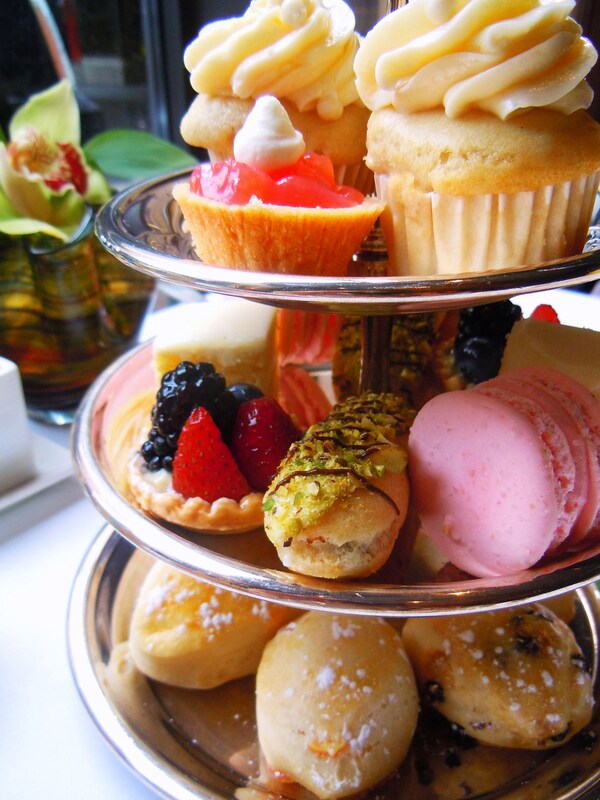 While I’ve enjoyed each and every single afternoon tea experience for different reasons, my favourite place, hands down, is Annona inside the swanky Park Hyatt hotel in Yorkville on Avenue Rd. I’ve been to Annona twice and both times were absolutely fantastic. Not only is the food delicious and the space relaxing, the service is beyond gracious. 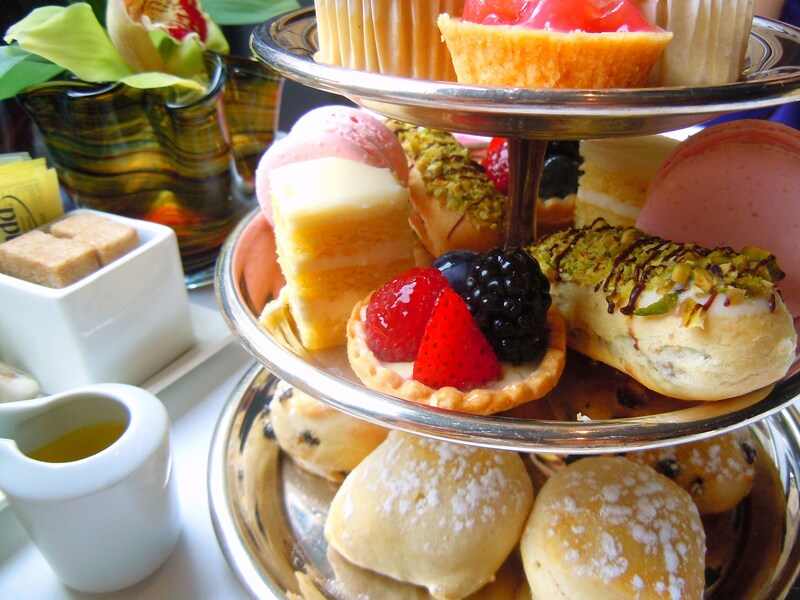 One of the things I love about having afternoon tea here is the sense of balance. Their dining room feels luxurious without being too formal or stiff, their dainty china is colourful and whimsical, and their menu, which changes every so often, is chock full of variety. You can tell how much effort they put into their menu because it’s unlike anything you’d see or get at any other place. You can tell that they’ve made a conscious effort to give you a different type of experience and taste sensation with each finger sandwich and dessert: there are pinwheels, savoury tarts, sweet tarts, savoury cones, white bread, wheat bread, pumpernickel, cakelets, cupcakes, macarons, different cheeses, meats, vegetables, fruits, the list goes on. 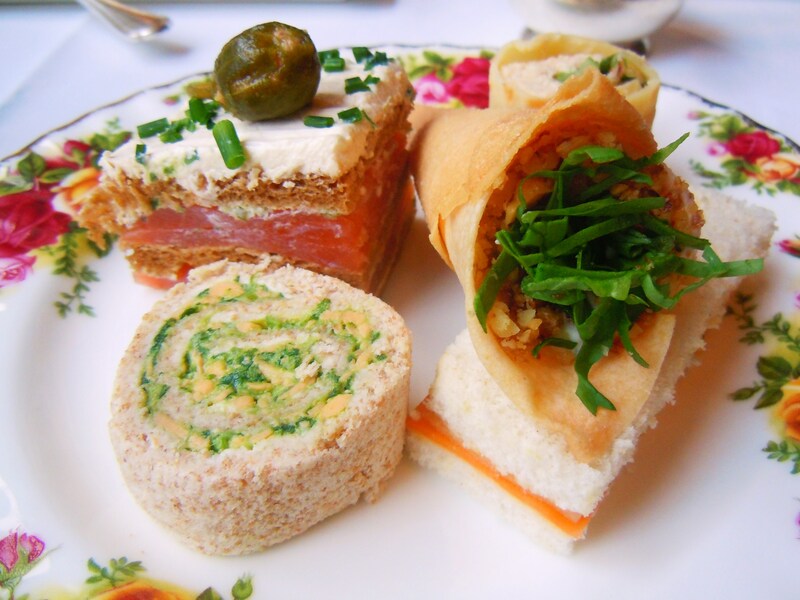 Their afternoon tea, available on Saturdays and Sundays from 3pm-5pm for $36 per person, is comprised of a gorgeous assortment of five different finger sandwiches, three small scones, and SIX different sweets and desserts in addition to the loose leaf tea from their tea menu and clotted cream, jams, jellies and preserves for the scones. There are 12 loose leaf teas to choose from including several different greens, blacks, and herbals, my favourite being the Eros, a yummy orange and vanilla dessert tea. They bring you your plate of finger sandwiches first, followed by a silver tiered stand containing the scones and sweets. While their menu does change periodically (which you can view on their website here), here’s an idea of the type of savouries you can expect based on the delicious assortment I enjoyed the two times I went: crispy cone filled with a creamy Boursin cheese mixed with cranberries and crushed walnuts; smoked salmon and chives with cream cheese on pumpernickel bread; chicken and asparagus salad pinwheel; watercress and cheddar cheese whole wheat pinwheel; shredded cucumber and carrot with hummus on white bread. 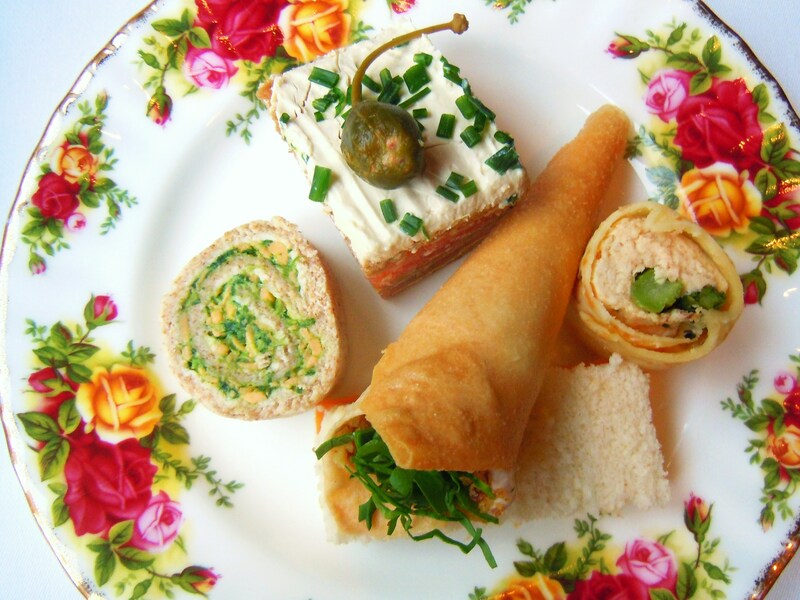 And if five different scrumptious finger sandwiches weren’t enough to tickle your variety-loving self, the desserts surely will! 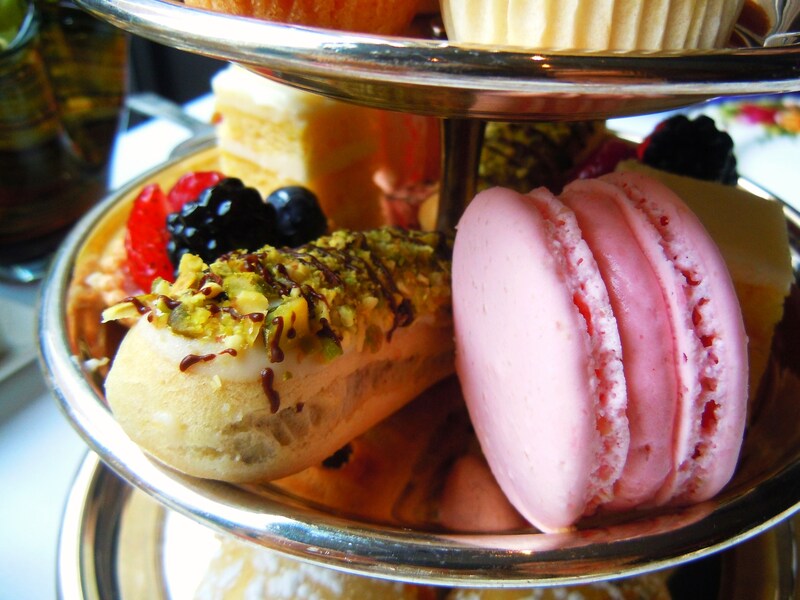 There is seriously no shortage of awesomeness when it comes to all the different types of sweets you get with your afternoon tea. There’s a mix of fruit desserts, chocolate ones, and ones with nuts (just a note to those with allergies – which I’ll actually get to later on in the post) including a lemon white chocolate vanilla cupcake, mixed berry tartlet, plum tart, raspberry macaron, peppermint white chocolate layer cake, and a decadent pistachio double chocolate eclair with chocolate custard filling, chocolate drizzle, and plenty of crushed pistachios on top. I just love how Annona mixes things up, plays with different flavour combinations and textures, keeping things fresh and exciting. 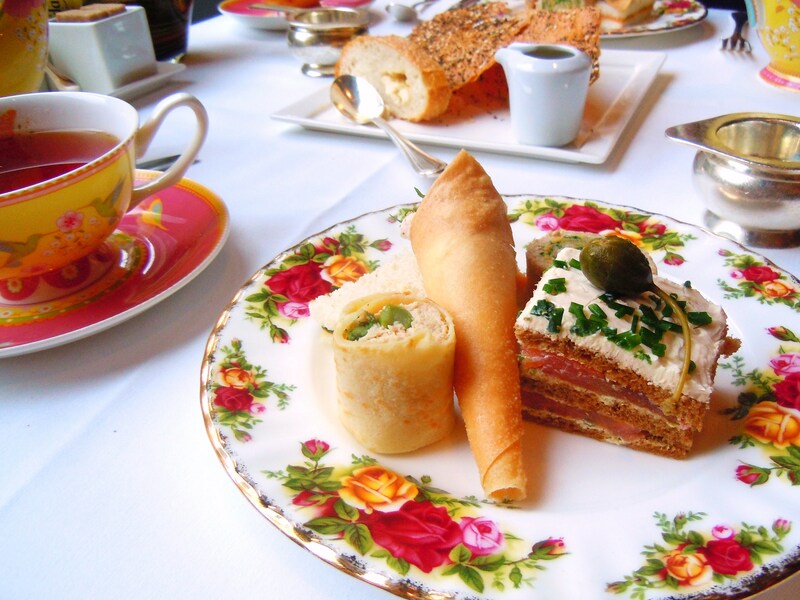 Their afternoon tea is, in my opinion, so modern, contemporary, and fun. It’s crazy to think that there’s even more to love about Annona, but there definitely is. I mentioned how gracious their service is earlier in the post and I meant it whole-heartedly. It’s not just in the way their staff services you in person but also in the care and attention they give you when you make your reservation. Annona is the first place I’ve ever placed a reservation for online and I absolutely love it because I’ve written notes for them regarding requests I’ve had for seating (given how I’m a blogger and obviously take photos, I always request a table beside a window so that I’ll have good lighting) and regarding my best friend’s allergies, asking them if there is any way to substitute those with other menu items and they have taken every single word to heart and have granted me everything I’ve requested with no question or hesitation on their part and with no reminders for them on my part. I can’t even begin to express how much those gestures mean to me because it shows me that they truly care about making the experience a good fabulous and memorable one. Not only did they grant my request for a window table each time, they actually went out of their way to make different pastries for my best friend. We were floored. So much time, attention and care was taken and we were never made to feel guilty or like a burden for making these requests which I really appreciate. 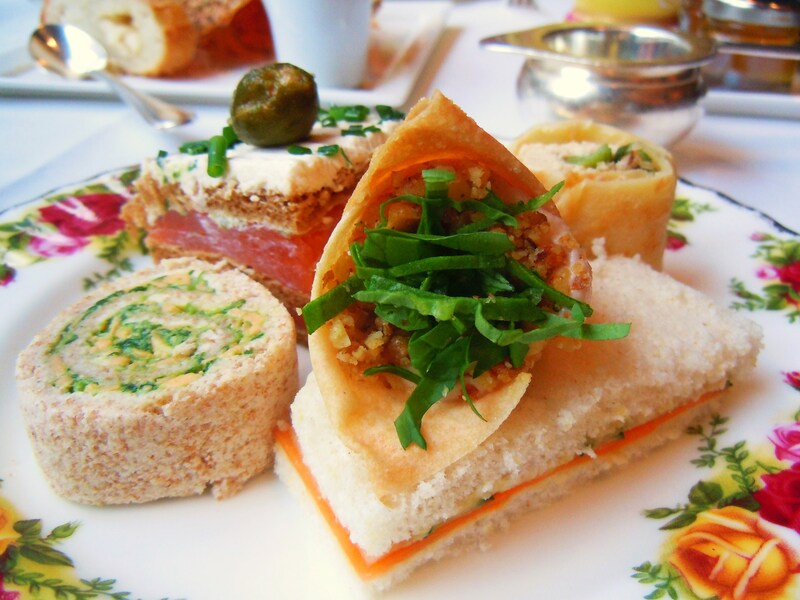 If you love afternoon tea as much as I do, enjoying it at Annona will be a happy foodie experience you won’t soon forget! 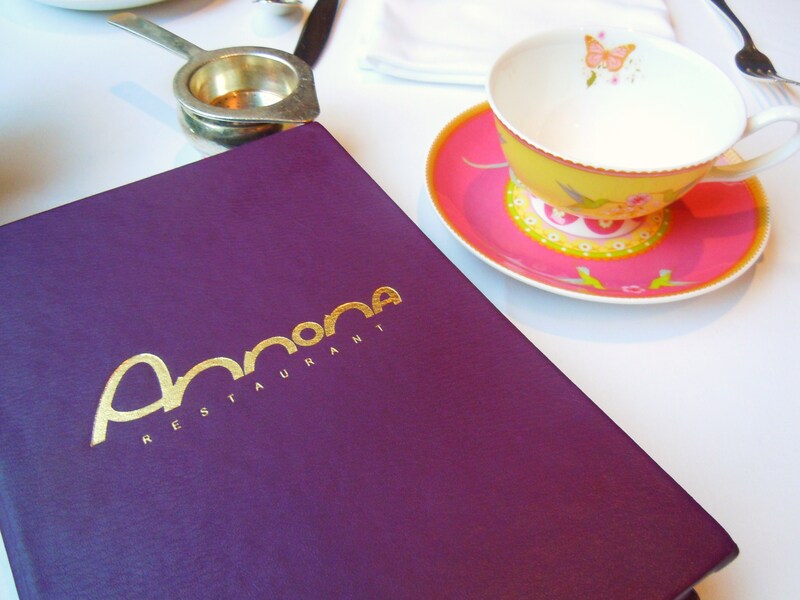 Annona is located inside the Park Hyatt Hotel in Yorkville at 4 Avenue Road, just north of Bloor St. West. 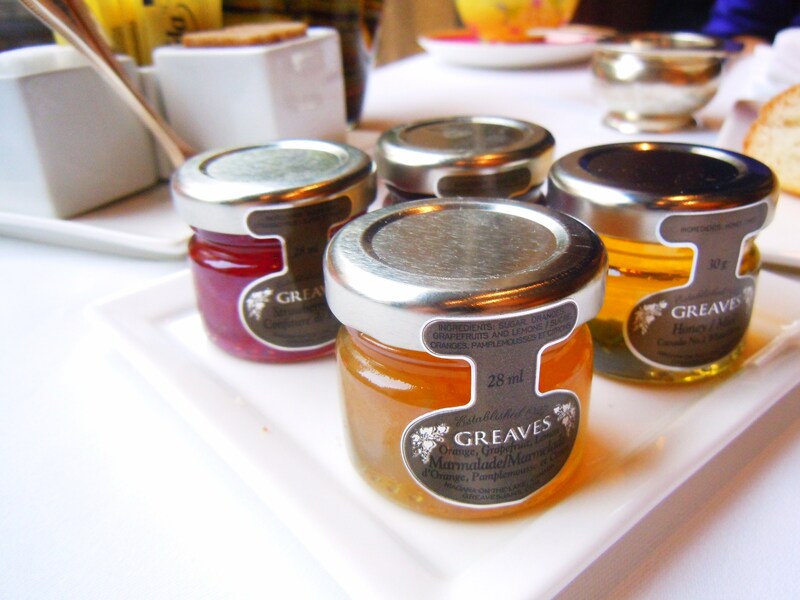 Their afternoon tea is available on Saturdays and Sundays from 3pm-5pm; reservations are not specified as absolutely required on their website but I would highly recommend making them just in case. You can call them at 416-324-1567 and also visit their website: http://hyatt.com/gallery/torphannon/tea.html. 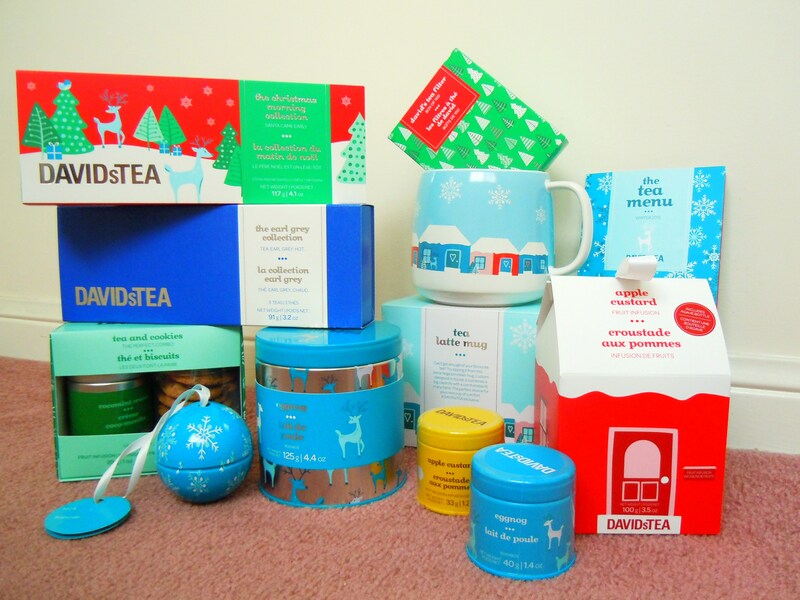 New Year, More Tea – A Look at Ate by Ate’s Holiday David’s Tea Haul with Eggnog, Apple Custard & More! Happy new year, everyone! It was quite nippy out on Wednesday so for those of you who par-tayed that night, I hope you had fun! And for those who stayed inside (like me), I hope you kept toasty and also had fun. I’m not much for new year’s eve celebrations (eating pizza and watching the adorable Anderson Cooper on tv are about the most exciting things I do and that suits me just fine) but I’m not going to lie: I “celebrated” on the inside when I kicked 2014 out the proverbial door and slammed it shut when the clock struck 12 and the big, shiny ball dropped. Good riddance. Teeth-grinding frustration, anger, and emotional agony is the only way to accurately describe this past year. There were definitely some really wonderful, happy moments throughout the year that I clung onto like little life preservers but as a whole, 2014 was terrible. At this point I don’t know if 2015 will be better, but all I can really do is hope for a brighter year. 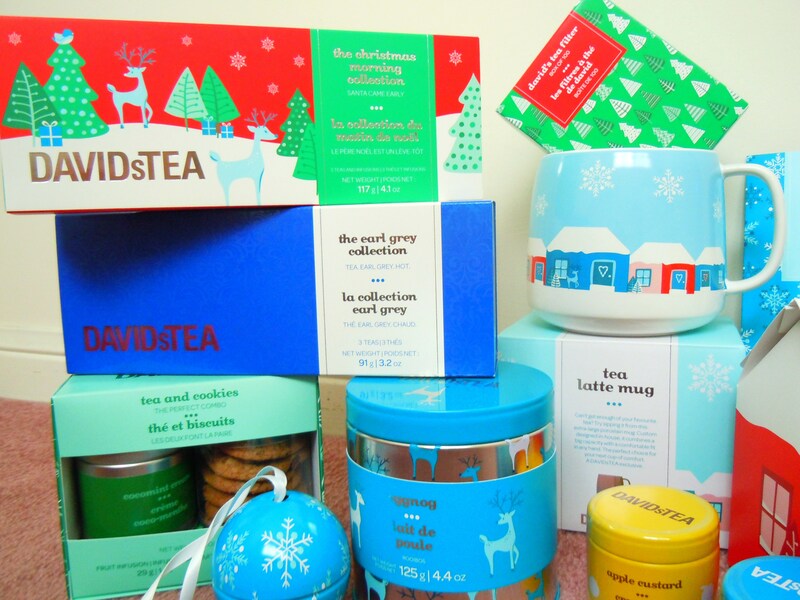 It’s Ate by Ate’s first post of 2015 and we’re starting the new year on a yummy, tealicious note: David’s Tea winter and holiday haul post! At this very moment I am both excited and miffed. Excited because I just got David’s Tea’s new e-mail about their brand spankin’ new Sunshine collection (nothing like hitting us hard with more “oh-my-god-I-need-these-in-my-life” tea products after the holiday rush, huh? 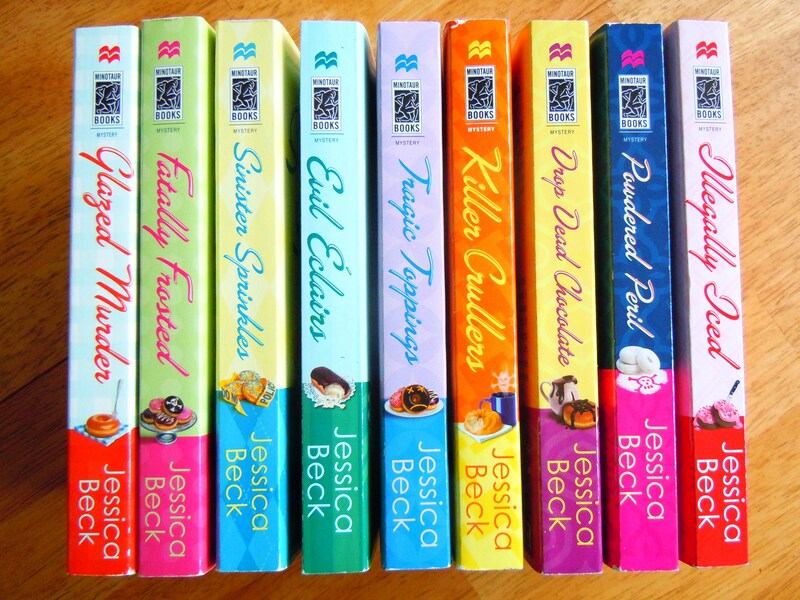 Seriously, no mercy) and all the new stuff on their website looks so fun and colourful and vibrant (squee!). However, I am also miffed because the content of this post is now soooo last year. Like, we’ve totally moved on and little Deb over here is still playing with last year’s toys. In hindsight, I really should have made this post on Wednesday but in my defence, I had no idea that they were going to steal my thunder. No matter. I am totally enjoying all of my holiday and winter goodies to the fullest and all of it makes me smile, especially my “snowy village” latte mug which is just so darn cute. I loooove all my new stuff. I think I did a pretty good job with my haulage this season if I do say so myself. Granted, half of the things you see in the photos were Christmas gifts, so I wasn’t a total crazy maniac who bought out the whole store. Just some of the store. 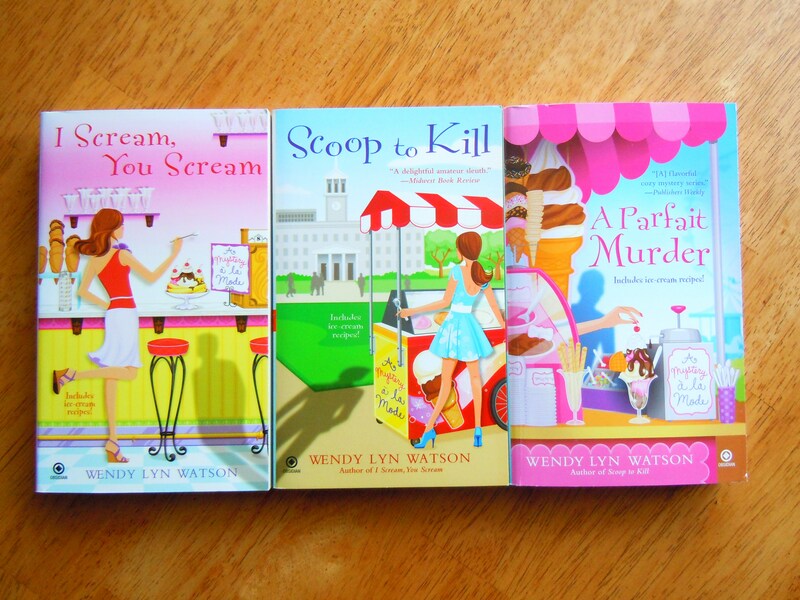 For me, my favourites from the holiday and winter collections are the Eggnog, the Cocomint Cream, and the Apple Custard and as you can tell from the photos, I was totally spoiled in all three flavour categories. I picked up the ginormous Eggnog collectible tin, the Eggnog Christmas ornament, and the cute little stackable tin. 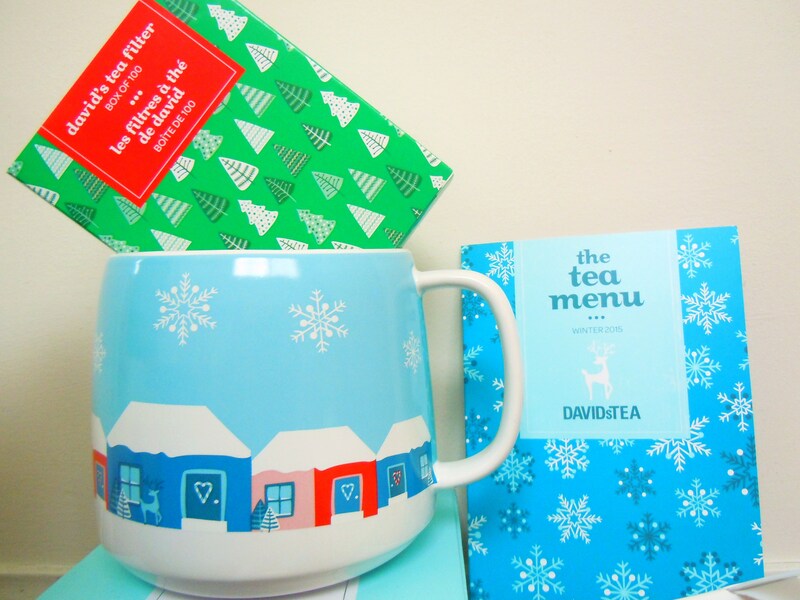 Not only do I think the tea is delicious but I adore the beautiful bright blue colour the tea products are outfitted in. Next, the Cocomint Cream. 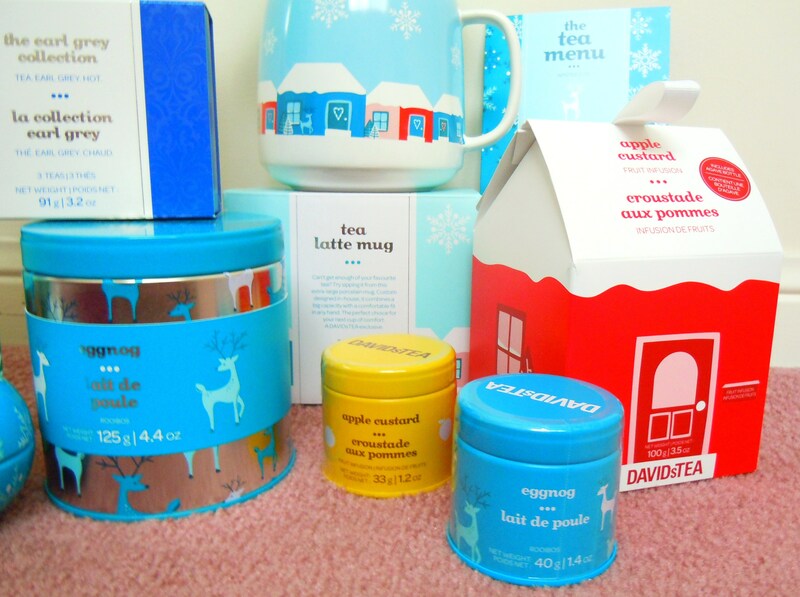 The Cocomint Cream tea is included in the “Christmas Morning” trio set AND I was able to take advantage of a very limited edition product that I only found at Yorkdale Mall: tea and cookies!! 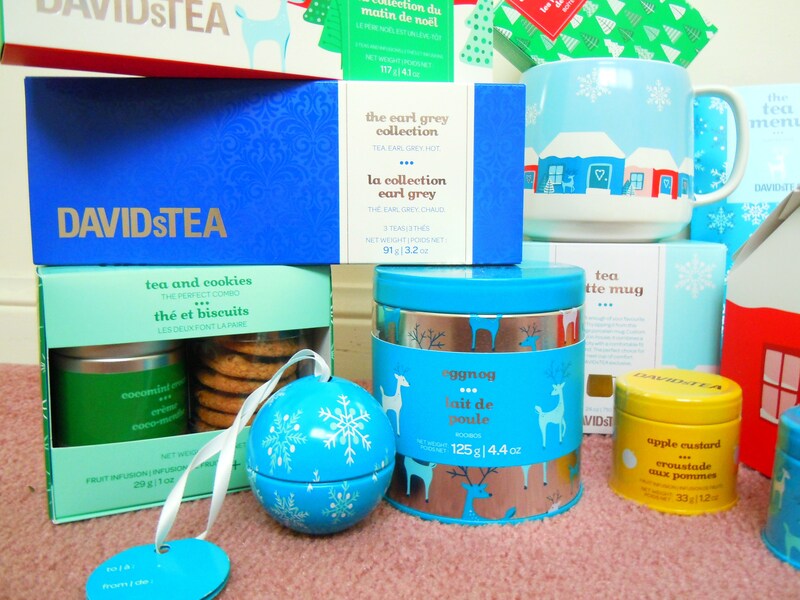 I was so shocked when I found the adorable little tea and cookies set at Yorkdale and while I’m still confused as to why the product availability was so limited, I am ecstatic that I was able to get my hands on a set before the holidays were over. 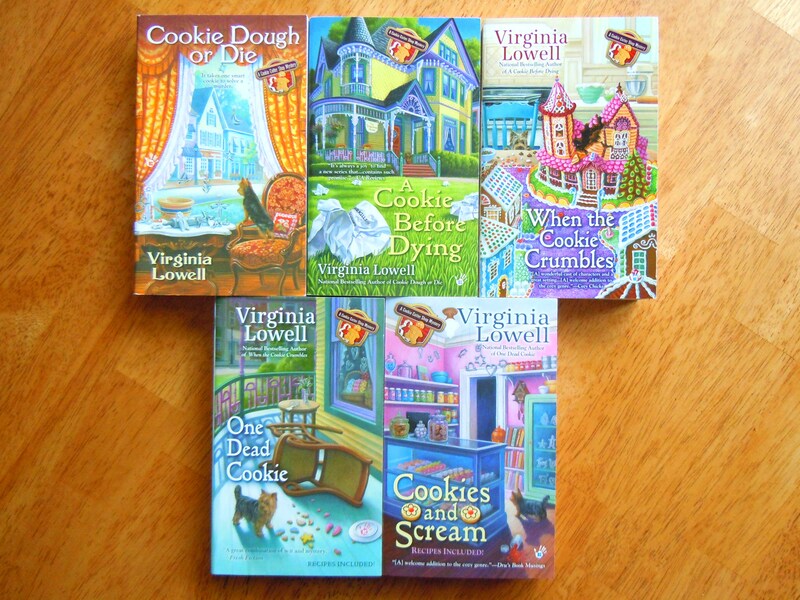 The tea and cookies set comes with a little tin of Cocomint Cream tea as well as half a dozen chocolate chip cookies. Um, hello, DEB IN A NUTSHELL. LOVE. Finally, the Apple Custard. Oh how I love this tea to itty bitty pieces. This is probably my favourite out of all the holiday and winter flavours. It smells divine and you should taste it cold/chilled/iced too. It is yummylicious. Thank goodness it’s part of the winter collection that is still available in stores until the spring collection replaces it come March. My best friend got me the cute-as-a-button Apple Custard tea house (equipped with a nice big baggy of tea and bottle of vanilla agave) for Christmas and I picked up the little yellow stackable tin from the boxing week sale. The holidays are sadly coming to a close, but winter is definitely sticking around so I’ll be happily enjoying these teas for weeks to come. 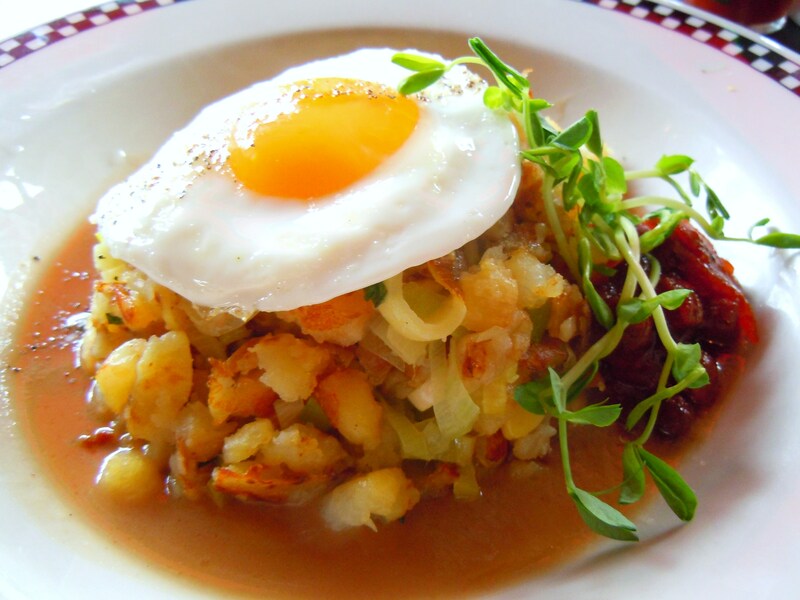 The Kind of School You Want to Go to – A Holiday Hashbrown Poutine Brunch at School Restaurant! I think everyone will agree that one of the best things about the holidays is/was getting a break from school. These two beautiful, glorious weeks are like pure gold (unless of course you happen to have homework to do in which case the pure gold becomes more like a lump of coal. Seriously, that’s just mean, but for the sake of keeping this happy, we’ll go for the homework-free holiday). So what if I told you that there was a type of school that you’d actually want to attend during the holiday break? One where you could educate yourself about delicious food and be surrounded by stacks of mouthwatering pancakes and French toast dripping in syrup, hot plates of eggs, bacon, and homefries with all the fixins’, and waffles outfitted with sweet and savoury accessories? I probably wouldn’t need to twist your arm to haul your tooshie out of bed then, would I? 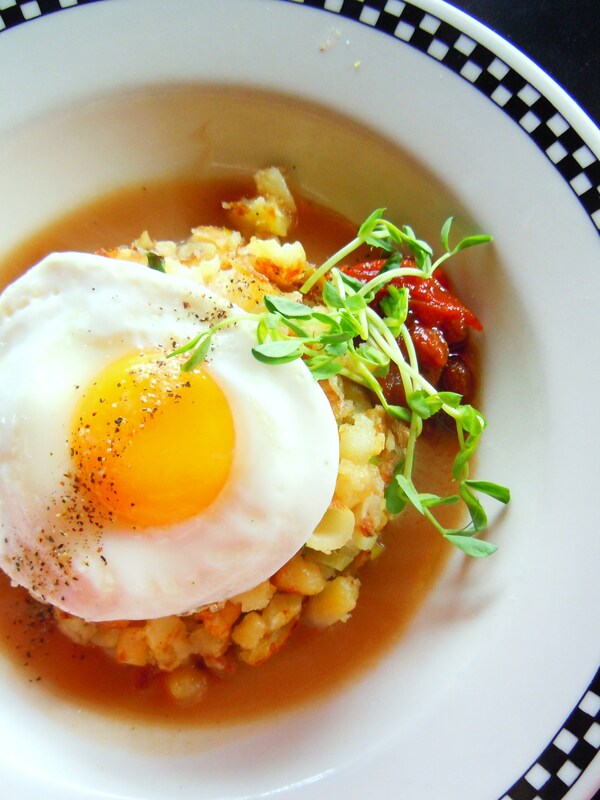 Because the only ‘school’ worth waking up to attend over the holidays just happens to be one of the city’s favourite breakfast/brunch spots, School Restaurant, located in Liberty Village! 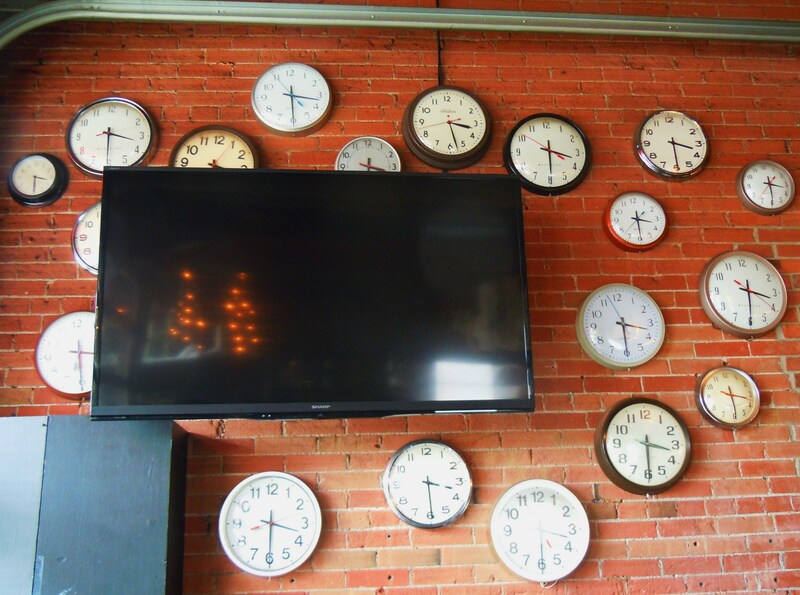 School Restaurant lives up to its name with their fun chalkboard diagrams (I could totally ace a test based on the anatomy of an ice cream sundae), their wall of clocks with all hands pointing to 3:30pm (quittin’ time! ), bills slipped into little report card envelopes, and clipboard menus featuring fun menu items such as “teachers pet” basket of baked goodies, “headmaster omelette”, and “apple-a-day waffle”. So not your average cafeteria garb. If you love themed stuff, School is right up your alley. And if you don’t care for it, you’ll love the food anyway, especially if you’re a breakfast and brunch fanatic like me! I got the chance to eat from their special, limited time, “12 Days of Christmas” menu (which was available from December 13 – 24) last week and while I know you won’t find the same menu or exact items in their restaurant anymore, at least this gives you an idea of what the style is like and the type of food you can expect off of their regular menu. And lucky for you guys, my item is actually available on the regular one! 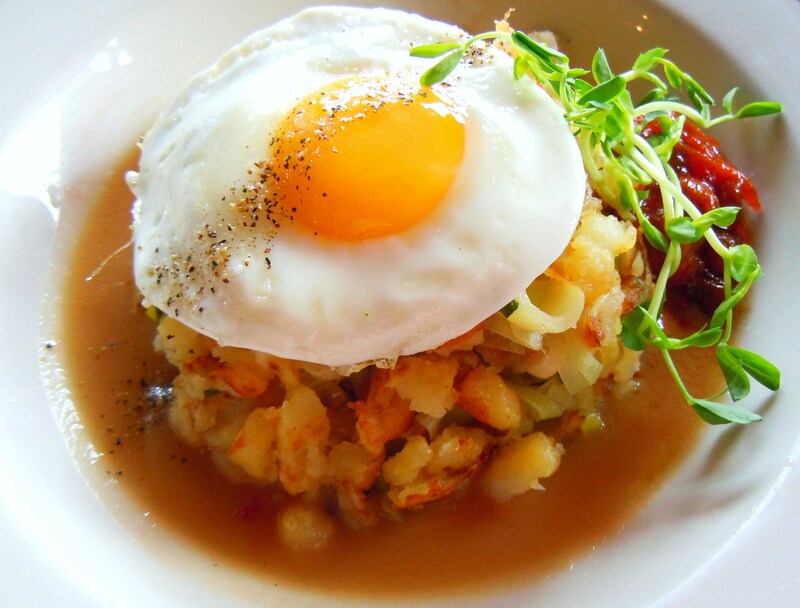 What I love most about brunch places is their mix of sweet and savoury dishes. While I usually err on the side of savoury, the sweet ones make me salivate just as much and I only wish I had found out about the special menu earlier, that way there might have been a chance of me squeezing in an extra trip. But no matter, I enjoyed my incredibly delicious breakfast choice and I can still look forward to eating off their regular menu which boasts just as many scrumptious options: black ‘n’ blue flapjacks, $15 (pancake stack with black and blueberry sauce with brown sugar butter), krispy krunchy French toast, $15 (crunchy French toast coated in rice cereal with marmalade), roasted apple-a-day waffle ($15), cheddar-chive biscuits with honey butter ($7), and smoked salmon breakfast salad ($15). Their “12 Days of Christmas” limited edition menu featured lots of holiday cocktails and drinks such as mulled wine, bourbon eggnog, and winter rum punch as well as festive candy cane pancakes, eggnog waffles, gingerbread krispy krunch French toast, omelettes, buttermilk chicken and waffles, cheesy bacon French toast, and my dish: the joyeux noel hashbrown poutine! Like I mentioned above, this is one of the dishes that is actually available on the regular weekend brunch menu as well so if you like what you see, you can enjoy this awesome deliciousness on Saturdays and Sundays too! 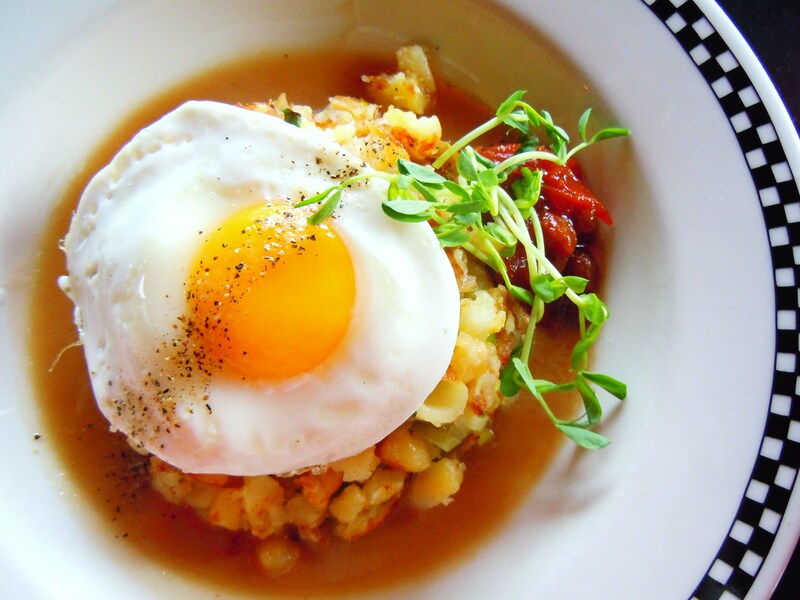 I LOVE LOVE LOVE the main components that make up this dish: hashbrowns/homefry potatoes, cheese/cheese curds, and a gorgeous sunny-side up egg. These three things alone make me a happy camper so have them all together in one dish sitting atop a generous ladle of rosemary gravy (have I told you I freakin’ love gravy nobody’s business?! Well, if I haven’t, now you know), with tons of yummy leeks, and a side of tomato jam makes it ultra fabulous. The potatoes were perfectly diced (not mushy or dry or undercooked) which made forking mouthfuls of potatoes, gravy, and gooey cheese super easy, the cheese was perfectly melted and stringy and delightful (I love me my cheese curds but it takes the fun out of eating them if they’re cold lumps, you know? 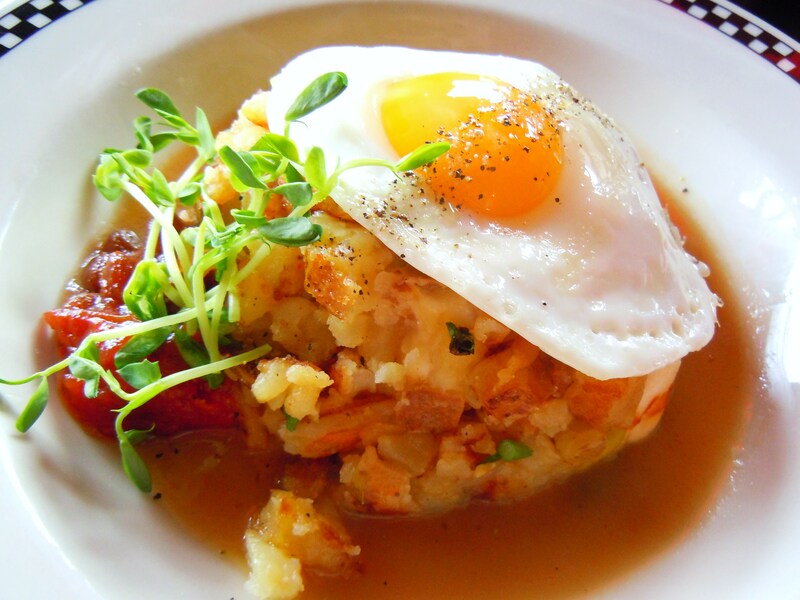 ), the egg was beautiful and runny, and – wait for it – the leeks were awesome. I know. You wouldn’t think the leeks would play such a starring role but they did. They were sliced thick enough so that you could taste them and see them in the dish with no trouble but not so thick that they were awkward to eat. I’ve had dishes in the past where the leeks just weren’t prominent enough and I love that they were prominent here. In all honesty, it was such a nice surprise that the leeks weren’t treated like an afterthought and I thoroughly enjoyed them. I could do without the tomato jam (it didn’t taste bad, tomato jam just isn’t my thing) but I understand why it’s there (a little acidity is needed to break up the flavours) and can appreciate its presence even if it’s not my cup of tea. This was my first time coming here and I’m really glad I had the chance to enjoy my food during the holidays as it definitely made the experience fun and festive. Going to “school” is definitely that much more bearable when the assignments are this yummy and when a perfect attendance record is this easy to achieve. 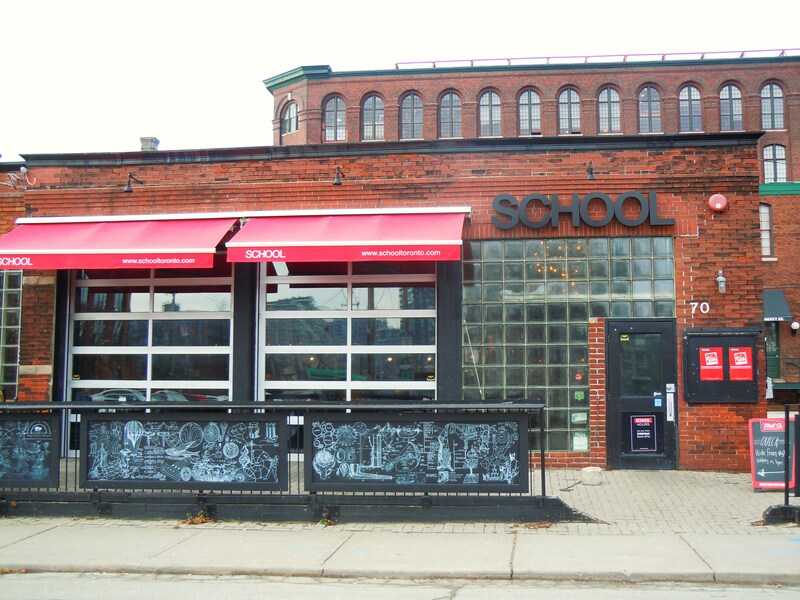 School Restaurant is located at 70 Fraser Ave. in Liberty Village, east of Dufferin St. and just south of King Street West off the King streetcar. They are open 7 days a week for breakfast/weekend brunch and lunch from 9am-3pm. 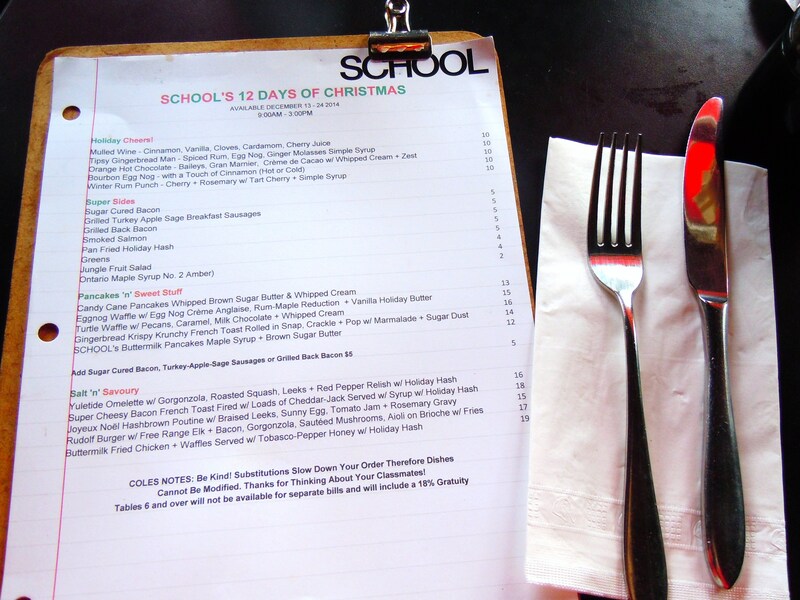 You can follow them on Twitter @schoolresto.